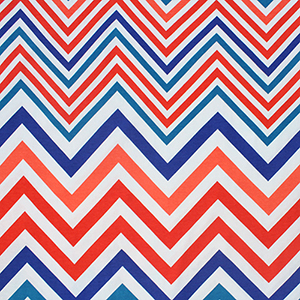 Colors of teal blue, royal blue, and orange linear chevron zig zag stripe design pops on a white cotton spandex knit. Fabric is light to mid weight, with a nice 4 way stretch. Chevrons measure 5 1/2".